Margaret Howell, 94 years of age, passed away Monday February 11, 2019 at University Hospital-Portage Medical Center in Ravenna, Ohio. Born on February 9, 1925 in Girard, Ohio, she was the daughter of the late Frank and Clara (Kovacs) Gantar. 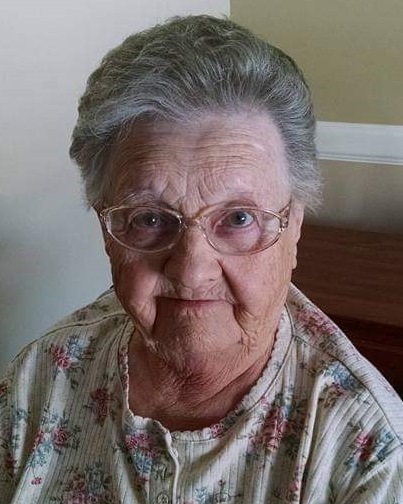 A homemaker, Mrs. Howell had been a resident of the Mantua area the past 65 years. She enjoyed reading, puzzles, and was a true fan of watching Jeopardy. On May 4, 1946, she married James D. Howell, Sr., who preceded her in death on January 7, 2000. She also was preceded in death by her sons James Howell, Jr., Michael Howell; her siblings Steve Salajko, Victor Salajko, Frank Gantar, William Gantar, Florence Gantar, Erma Romie and Freda Butcher. She is survived by her children Jane Howell of Ravenna and Patricia (Joe) Clay of Windham, Thomas (Ann) Howell of Ravenna, John (Rebecca) Howell of Ocala, Florida, William Howell of Mantua, Christopher (Bernie Davis) Howell of Aurora and Frank (Kim) Howell of Newton Falls; her siblings John (Barbara) Gantar of McDonald, Ohio and Mitzi Hughes of Girard; 27 grandchildren and 59 great-grandchildren. Calling hours are Wednesday February 13, 2019 at the Green Family Funeral Home & Crematory Service, 4668 Pioneer Trail at the corner of St. Rt. 44, Mantua, Ohio 44255 from 5:00 P.M.-7:00 P.M. Cremation will follow.